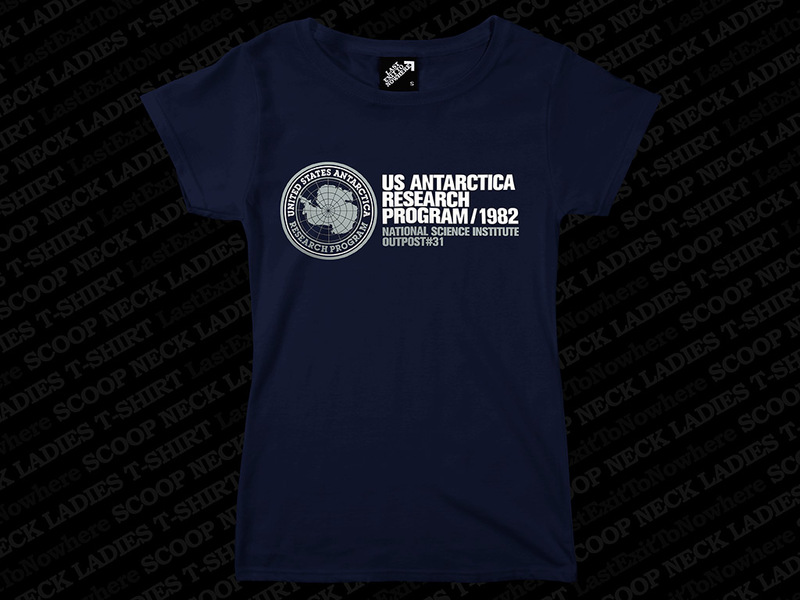 A two colour design, hand screen printed on a ladies regular fit scoop neck 100% cotton navy T-shirt. 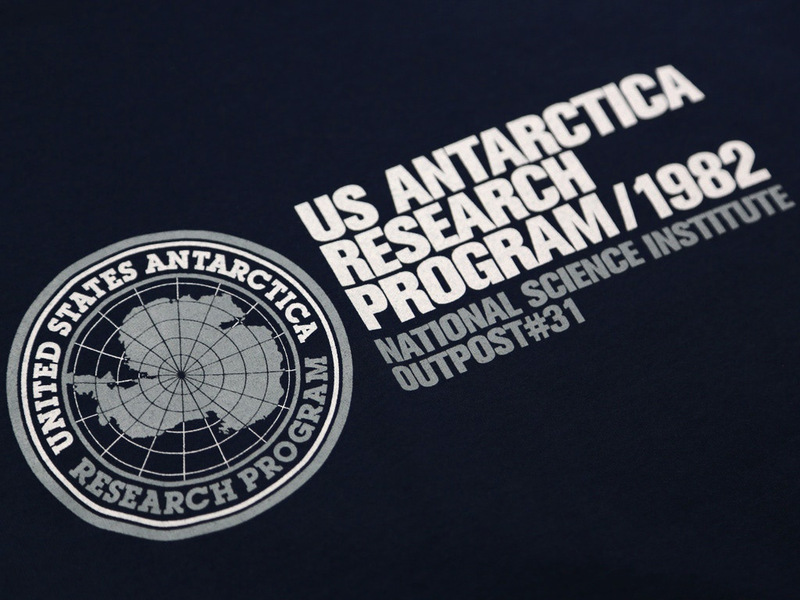 Inspired by the fictional location featured in the 1982 american science fiction horror film, The Thing, directed by John Carpenter. The film stars Kurt Russell, A. Wilford Brimley, T. K. Carter, David Clennon, Keith David and Richard Dysart.